It’s been a year (give or take a day or two) since the 417 Bike Park opened it’s doors to the public so we’re going to help them celebrate by repeatedly chucking ourselves down the hill on bikes. If you haven’t been to the 417 for a while then this is a chance to check out the improvements and additional lines that have been put in. 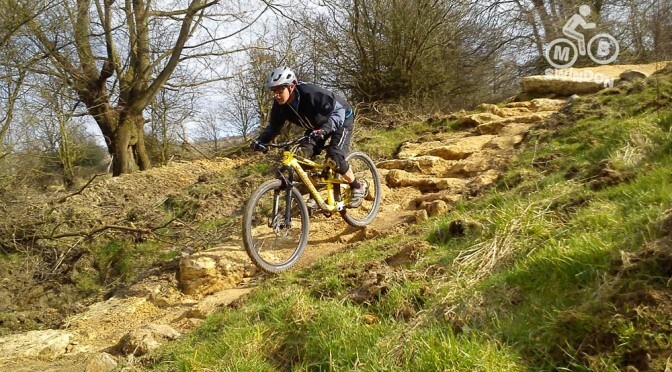 If you’ve never been then it’s a good opportunity to check out your nearest purpose built bike park. A days uplift pass, which also now gives you access to the indoor pump track and dirt jumps barn, costs £33 and can be purchased here. There’s also the option of paying for admission only and either pushing up or buying ‘pay as you go’ uplift tickets. You can read our original review from our first visit this time last year here. Our event starts at 10am which is when the uplift starts, probably a good idea to get there a bit early for signing in and faffing. Distance: As little or as much as you like, uplift service available. Terrain/Difficulty: Blue, red, and black graded trails plus pump tracks, dirt jumps and practice area.